Kingston Plantation's Plantation Villas provide you with an exceptional setting for your Myrtle Beach getaway. 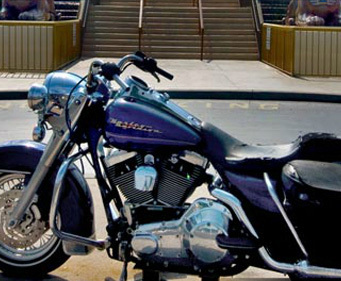 This gorgeous hotel sits in a coveted oceanfront location close to Lake Arrowhead. From this location, you can enjoy the abundant water sports and outdoor recreation of the area with ease. You will also enjoy proximity to top area attractions like Broadway at the Beach, Barefoot Landing, the Myrtle Beach Hard Rock Cafe, the Coastal Grand Mall, the dozens of fine golf courses, and so much more. There is no end to the good times waiting for you in Myrtle Beach. When you aren't out exploring the beautiful city of Myrtle Beach, you can also enjoy plenty of great amenities on site at the Kingston Plantation resort. The whole family will have a grand time splashing around together in the hotel's own Caribbean Family Water Playground with nine outdoor pools and a lazy river. Good times can continue when you play a match or two on one of the nine lighted tennis courts. The elaborate 50,000 square foot fitness center gives you plenty of space and premier fitness equipment to keep fit on your getaway. You can even dine on-site at the oceanfront Omaha Steakhouse or the Splash Cafe. When you select the premier comforts of the Kingston Plantation's Plantation Villas as your home away from home, you will enjoy exceptional views on your getaway. The Villas boast a residential ambiance with lush green vegetation accented by waterways and even a few benches where you can sit and enjoy being outdoors. Some villas are set in a wooded location for a more secluded setting, while others offer a view of the tennis courts or the lake. Each villa boasts a full kitchen and a separate living area. Most of the villas also feature two cable TVs, a sleeper sofa, a washer and dryer, a fireplace, daily housekeeping, internet access, and more. You will have an amazing time in Myrtle Beach when you stay at the Kingston Plantation's Plantation Villas during your getaway. Treat yourself to the luxury you crave with a villa at Plantation Villas! 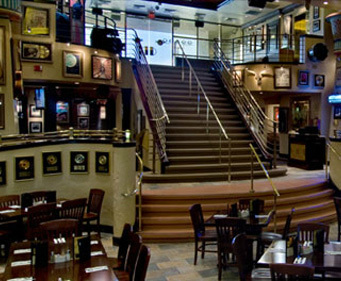 The hard rock had great food and we enjoyed looking at all the famous musician decorations. I was however displeased to find that my free suvonier was a luggage bage tag. This was my thrid time there. My daughter enjoyed taking pics of her favorite artists memorabilia, but I thought they should have at least included a pin or luggage tag for their guests (as previously, but now NO more!) as a rememberance of their visit with them. The food is nothing great, it's just okay. We had a good waiter who was attentive and courteous. Love to eat here! 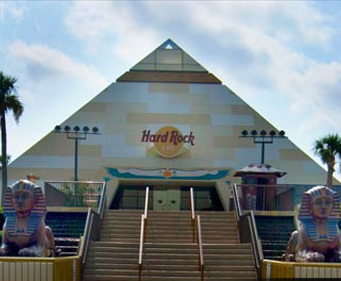 Sometimes this is a bit loud so don't go here if you want a quiet night out or a romantic dinner.If you love rock and roll or anything Egyptian this is a must see.